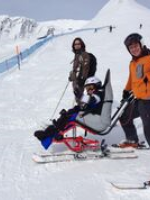 Grindelwald, situated in the Jungfrau Region of Switzerland, is an excellent ski resort suitable for almost all physical, sensory, neurological and degenerative conditions including learning and additional needs. It has a long history associated to many visitors from the the UK and is a very popular ski and summer resort for Swiss guests. The stupendous and magnificent surroundings give it a very special charm and it has so many varied and exciting secrets to unveil to visitors - a magic box to be opened by young and old alike for a truly special holiday! Dominated by the iconic Eiger and neighbouring mountains and Glaciers it is a village suited for everyone's needs. One point we have to make is that although there is some wheelchair accessible accommodation, this is not, at present, in plentiful supply. There are hotels which are making renovations and so we are confident that in the near future the village will be able to welcome all wheelchair users. All types of activities are on offer to stimulate the mind, body and soul. From gentle walks to adrenaline charging hikes up the mountains; skiing for all levels; summer alpine bliss of sitting and soaking up the pure air on a sun filled terrace listening to the cow bells or seeing skiers whizzing by in the winter; no excuse not to get out the water colours and camera to picture the breathtaking beauty of the Jungfrau mountains especially the iconic Eiger! Feed the body and become healthy with local food and fine gastronomic delights. If you, a friend or family member have any of the following then Grindelwald might work brilliantly for your ski or summer holiday. This is by no means an exhaustive list (it would be impossible to include every condition) but many have similar or common factors. As often someone may have a condition that we have not yet come across please do ask us if you are interested in the resort and we can try to help. 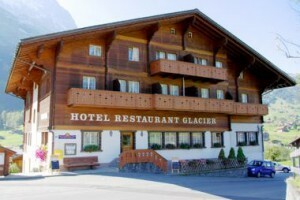 Grindelwald has a great selection of hotels, apartments and chalets suitable for all visitors. Accessible accommodation in Grindelwald is also available for wheelchair users (dependent on type of wheelchair) and those with limited mobility. A wonderful hotel with a real alpine charm located just across from the railway station with stunning views of the iconic Eiger and ski area. To request further in-depth and comprehensive information on Romantik Hotel Schweizerhof contact us. 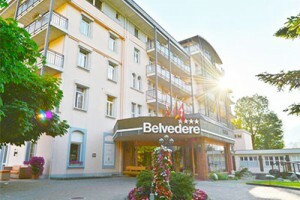 To request further in-depth and comprehensive information on Hotel Belvedere contact us. For more information on mountain activities in Grindelwald please contact us. Why does Grindelwald offer so much for so many conditions? 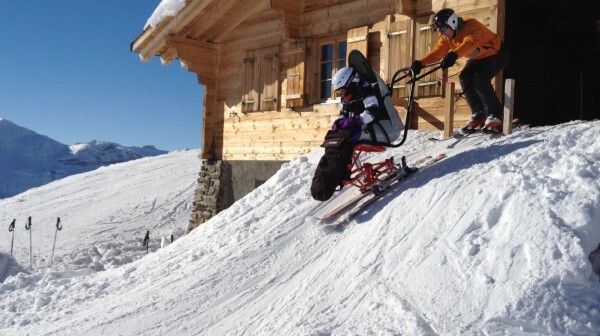 Because the Jungfrau region is home to one of Switzerland's top adaptive and 'disabled' ski organisations called Active Motion (www.activemotion.ch). Which means that with their expert tuition and guiding almost anyone, depending on their needs, can take full benefit of the ski villages of Grindelwald, Wengen, Mürren and Lauterbrunnen. 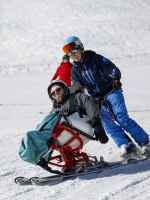 Ski 2 Freedom Foundation has been working with Active Motion for many years and our beneficiaries highly recommend. 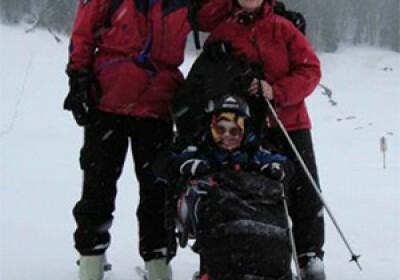 In addition each village has its own ski schools which have been used or recommended. To get a better idea and understanding of the ski resort of Grindelwald and what else they can offer you for your holiday, we suggest you look up their website as every Tourist Office offers a fascinating and exciting insight into what they and the surrounding area can offer visitors. In addition many have a dedicated website or page for those who are in need of assistance, disabled, with young children and babies and those of us just getting on a bit in life! 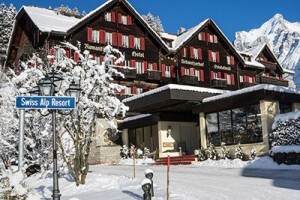 For more information on this resort we recommend that you also contact the tourist office - grindelwald.ch. All the news, feedback articles and press releases illustrate how Grindelwald helps to enhance people’s lives. Also, in many cases, showing how Ski 2 Freedom works in close association with Grindelwald to help raise awareness of the empowering benefits of mountain activities such as skiing and promoting accessible, social and inclusive tourism. If on reading our Grindelwald page, you have your own experiences and feedback of the resort (winter or summer) that you would like to share or feel would be encouraging to others, please do not hesitate to send them to us for inclusion on both our website and social media – photos and film clips also welcome.